Its no secret that I love chickyum (chicken) and I love it anyway I can get it. When Ma and I are pet sitting AKA cabin by the lake, she cooks for me. 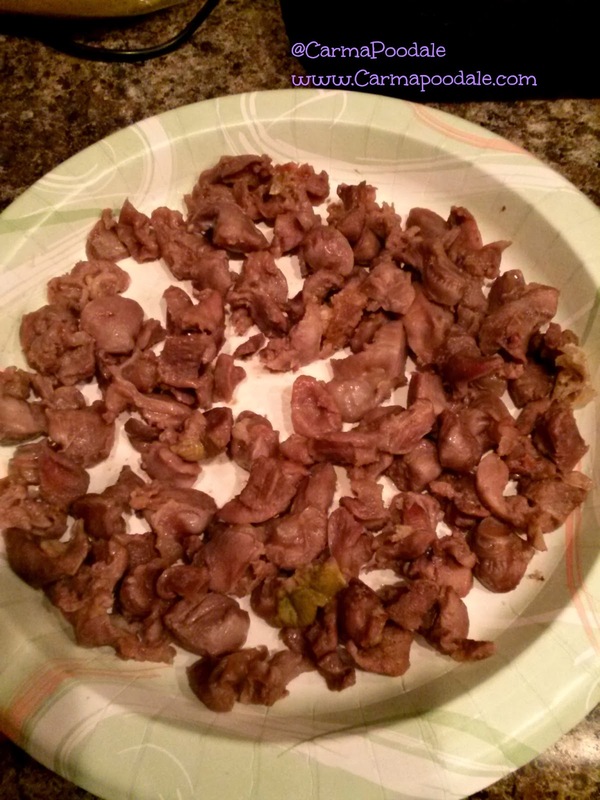 One quick meal that I love is chickyum gizzards and hearts. These are a quick fix if you prepare them properly. Ma uses scissors to cut the gizzards and hearts up into bite size pieces. It makes the meal much faster to cook and faster to cool after frying. Once you have them cut up, turn burner to medium high and saute gizzards. 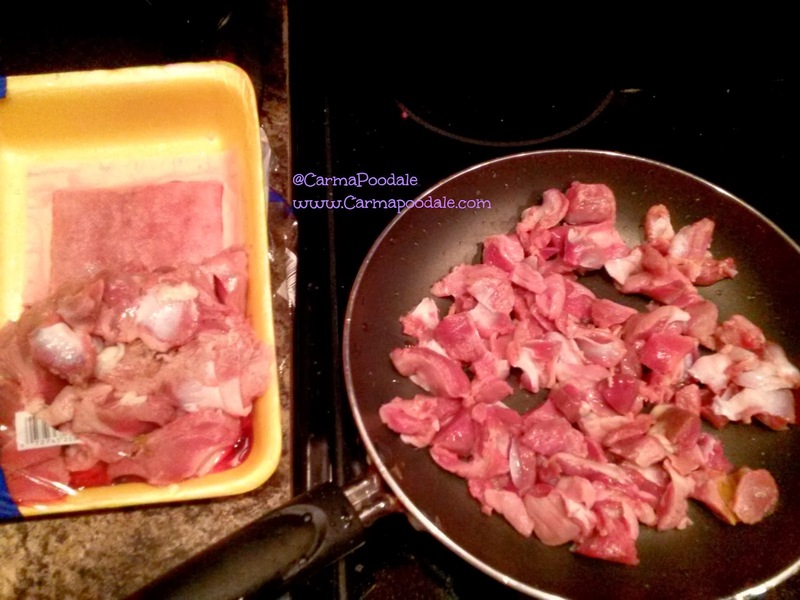 Ma doesn't use oil or salt since that adds to fat and sodium but if you don't have a non stick pan, a teaspoon of bacon grease or oil will do the trick. Constantly move them around in the pan. Ma just shakes the pan back and forth to move them. When they are about half way done remove from heat. They will continue to cook in the pan but won't overcook. Allow to cool a few minutes until you can pick them up and hold them without it burning your hands. I prefer my food warm but these are good cold too. Serve them up. That is all there is to it. Takes about 15 minutes from the time you take them out of the package till they are ready to serve. Allow longer time for cooling. Since its cold here, we just set them outside for a minute or two and they are ready to eat. *Disclaimer* Always wash hands and scissors thoroughly after handling or cutting raw meat. Adjust the temp of the pan to your stove settings. We use a electric stove while at the cabin but have gas at home. Never feed as soon as they come out of pan because they can burn your dogs mouth. Always allow to cool. I am well loved. Those are delicious and they take no time to make plus don't cost much at a store. Here we pay $1.29 for a pack of them. That is a simple recipe that even I could follow. Thanks for the great idea. What a great idea! I'm assuming you can refrigerate and use for training treats? Thanks so much for joining the blog hop!! Glad to see you! AND I wanted to let you know I saw the comment about the spam your HS gets and there is an easier way to empty it. I will share that tomorrow, but in case you miss it, I will copy it down and shoot it over in an e-mail. :-) Have a great day! 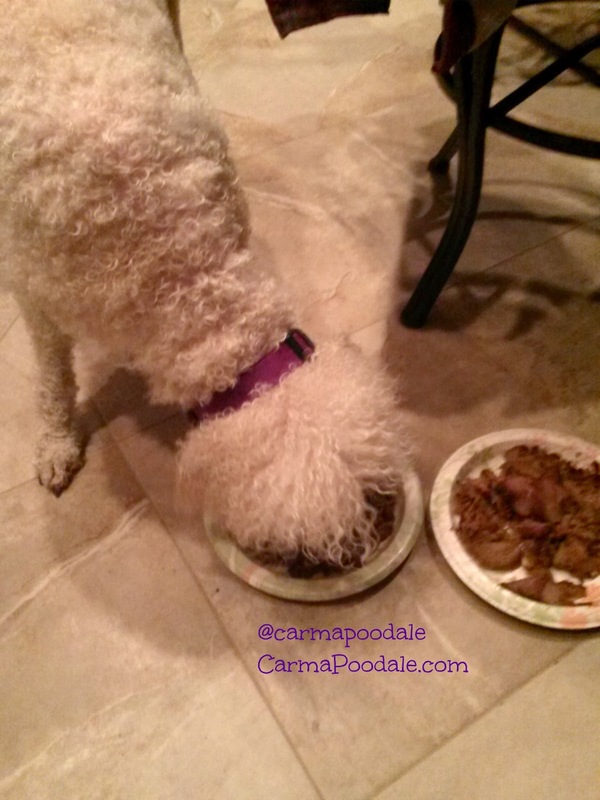 LOVE Cooking with Carma! Such a fun and quick recipe! Chef Carma is too cute in her cooking outfit! We LOVE chicken gizzards here and cook them often. I have always boiled them and then cut them up but these look like them probably have more flavor:) Thanks for the tip! Yummy! We would love those. 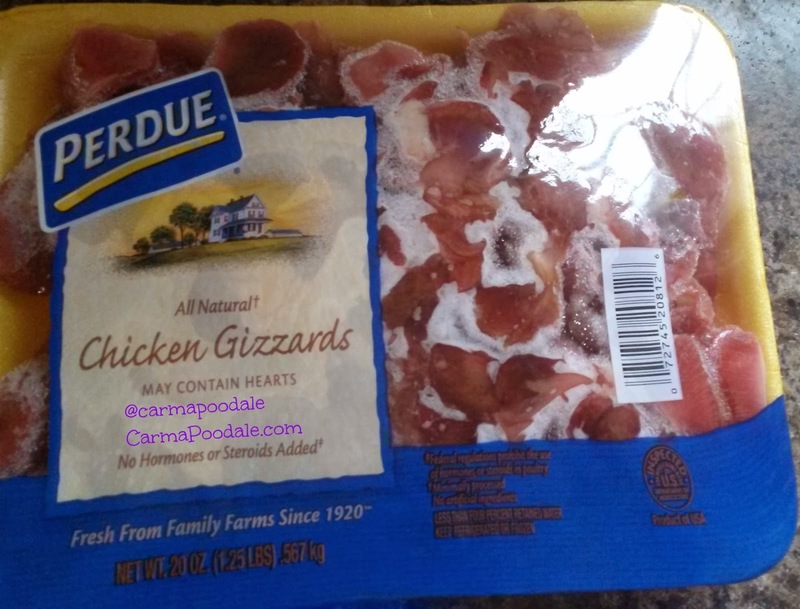 Love chicken gizzards; and so do our dogs. I'm going to pick some up tomorrow for their treat. 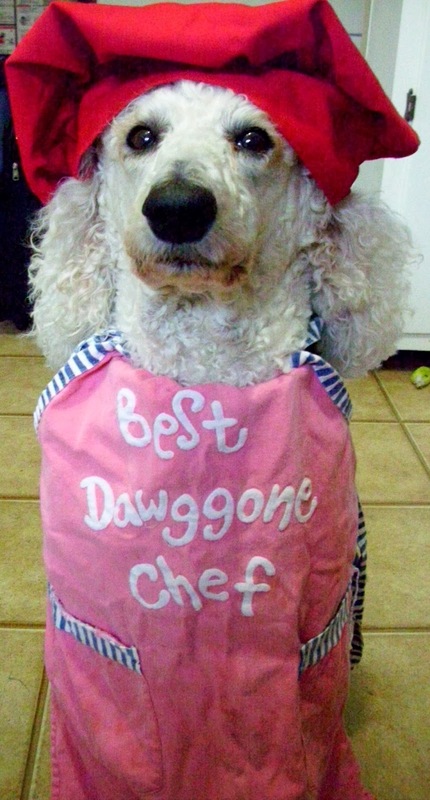 I LOVE your chef’s outfit! It’s so you! I might like those. TW usually puts a little water in the pan when she’s cooking something like that even though she has a no stick pans. I gotta start bugging her for these. This recipe looks yummy and simple, I'm sure my Sam will love it too! Thanks!